Anchor Cottage & Riverside Cottage – Riverside self catering holiday cottages in Wroxham. Directly on the river front with private boat mooring and fishing. Away with the Kids highlights approved family holidays in Norfolk, UK and abroad; you’ll find baby, child and parent friendly holiday destinations for you all to enjoy a stress-free break. Experience a superb family holiday in Norfolk, Suffolk, Essex or Hertfordshire. Take your pick from holiday accommodation by the Norfolk Broads or a costal retreat in Suffolk….perhaps your looking for a rural pad within striking distance of London? Our highly recommended child friendly cottages, luxurious family hotels or relaxing farm stays are all perfect for family holidays with the kids. Beachside Holidays provides seaside accommodation with stunning sea views, situated overlooking Norfolk`s sandy beach and just a few miles from the Norfolk Broads. Self catering cottages, contemporary chalets and lodges. Rural Self-Catering Cottages, surrounded by the Norfolk Countryside, on the doorstep of the Weaver’s Way walking and cycling route and within 15 minutes of Wroxham and several areas of the Norfolk Coast Path (AONB). Sleeping 2-4, the cottages are spacious and comfortable to relax in, or as a base to explore and discover all of Norfolk. Ideal for couples, families and friends. Please visit our website for up-to-date availability, prices and more information. A charming riverside holiday cottage to rent in the centre of Horning. Stunning six berth caravans for hire sited at Haven Caister Holiday Park, Norfolk. Lots of activities for the whole family to enjoy including kids clubs, beach, swimming pool, soft play or adventure playground. Also the perfect base for sight seeing in Norfolk. Find caravan parks and campsites with Caravan Sitefinder in Norfolk. Welcome to the Complete Cottage Hirer’s Resource. This site has been written to assist those wanting to hire a cottage on the Norfolk Broads. Use the search facility to access around 150 cottages located across the Norfolk Broads. 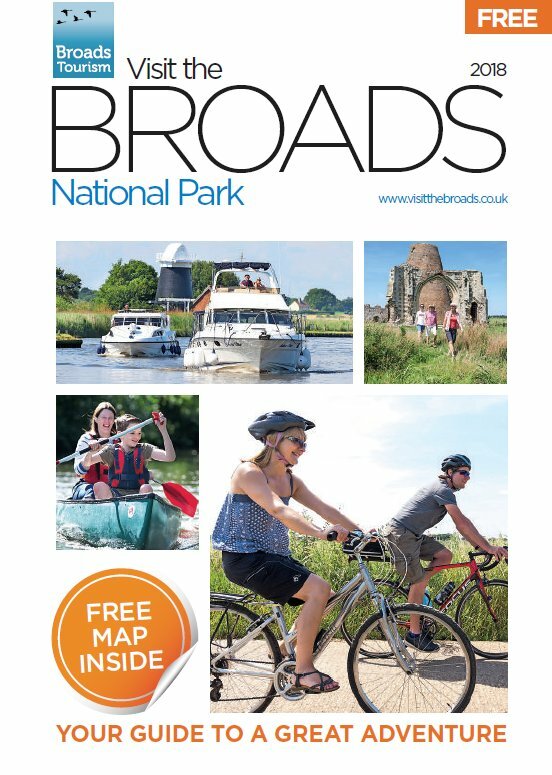 Browse the site to get a feel of what the Norfolk Broads has to offer. You will find maps and guides to the villages and towns together with a comprehensive listing of activities and attractions throughout the area. Fantastic, self-contained, 4 star silver award winning, bed and breakfast accommodation on a working farm. Between Hickling Broad and Sandy Beaches at Sea Palling. Wonderful Breakfasts cooked with all local produce. A 1930’s built, fully refurbished house, which stands in it’s own grounds with a large, private car park. Non-smoking residence. Open all year round for Bed & Breakfast. Luxury self catering cottages in a beautiful countryside setting close to Wroxham, capital of the Norfolk Broads. Multi award winning converted barns with contemporary furnishings, woodburning stoves and much more. Ideal for couples, families and friends and the perfect location for the Broads, Norwich and the coast. Full on-line booking system, click on the link for details. Le Occare is a full comfort farmhouse with a little restaurant and three rooms in the countryside of Ferrara. Hedera House 7 bedroom farmhouse, 11 Holiday Bungalows set in 2 acres of lovely peaceful gardens adjacent Thurne Dyke with moorings and slipway in heart of Broadland. Enjoy fishing, boating, sailing,walking, easy access to Norfolks Attractions, nearby sandy beaches, Great Yarmouth 10 miles. Richardson’s Holiday Villages provide holiday villages for families and adults alike. Is a small family company that cares for holiday cottages and weekend homes in the picturesque Broadland village of Horning, and also has holiday cottages for rent. Holiday Park set in 250 acres of Norfolk woodland and rare open heathland. Kett Country Cottages is the leading holiday rentals company for self-catering properties across North Norfolk. As Norfolk specialists, Kett’s team are the obvious choice when searching for your perfect getaway. Established for over a decade, both owners and holiday makers alike can rest assured that they will receive first class service, high quality properties and lots of happy memories. For all enquiries, please contact 01328 856853 or email info@kettcountrycottages.co.uk. Holiday accommodation in Norfolk. From Norfolk cottages, B&B’s, hotels, camping, boating, guest houses and much more. Self catering accommodation, sleeps 4, plus cot. Fabulous south facing views over grazing marshes, near the ruins of St Benets Abbey and the River Thurne. Perfect base for canoeing, sailing, river trips, walking, cycling, and nearby sandy beaches. Unique accommodation, set right in the heart of the Norfolk Broads. A traditional, thatched Norfolk farmhouse and buildings have undergone a full, eco-inspired restoration and are refurbished to the highest standards whilst retaining their character. Green Tourism Gold Award; 5 stars (Visit England). An idyllic setting between the Rivers Ant and Thurne, within walking and cycling distance of How Hill and St Benet’s Abbey; surrounded by wildlife yet close to all amenities and lovely beaches – the perfect base for a Norfolk holiday. Manor Farmhouse is a lovely Grade II listed part Tudor part Georgian house mentioned in Pevsner’s “The Buildings of England – Norfolk”. It is in a rural setting half a mile from the seaside village of Happisburgh with its famous lighthouse and beach. Built of brick and flint in 1588, the house was added to in Georgian times. It is partly thatched, with old beams. Log fires in Winter and croquet on the lawn in Summer, making it an ideal base for relaxing and exploring this unspoilt part of Norfolk throughout the year. Over 100 cottages available in the Norfolk Broads area from Norfolk Country Cottages, a leading provider of quality-assured self catering accommodation in this beautiful county. With over 400 self-catering holiday cottages, Norfolk Country Cottages represents the largest independent holiday cottage agency in Norfolk, providing city-breaks in Norwich, one of the country’s premier shopping destinations, as well as relaxing escapes to the regions vast coastlines, the beautiful Broads and expansive Norfolk country side. Two eco-friendly self-catering holiday cottages in delightful countryside near Aylsham. Each has two bedrooms and sleeps four persons – sitting room – well equiped kitchen-diner – bathroom and also seperate WC Set up for cyclists with locked shed in each garden – room to dry wet clothes -outside tap to clean bikes – maps and cycle routes. Norfolk Park is a prime location for families. Boasting a large heated swimming pool, patio and sunbathing area, this park has the facilities to keep all members of the family entertained. Situated between the Broads and north Norfolk coast, the park is the perfect place for fun family days out, an action packed trip or romantic break. With golf, fishing, a leisure centre and bowling nearby, there is something for all moods and weathers. Norfolk Park has its very own onsite restaurant, The Olive Tree. A stylish and contemporary establishment, the menu offers a mouth-watering choice of English and international cuisine. Enjoy fine dining and drinks in the light and spacious interior or venture outside to the Mediterranean style terrace surrounded by box hedges, complete with a stunning water feature. With a 12 month season, award-winning bar and restaurant and excellent facilities, Norfolk Park is a must for families. Old Hall Farm is a restored thatched farmhouse dating from the 17th century. Our location in the quiet village of South Walsham is in the heart of Norfolk’s Broadland. We are ideally situated for the Norfolk Broads, the City of Norwich, Great Yarmouth and the coast. Weekend Breaks – There’s lots of fun activities you can choose throughout your day, with indoor pool, snooker, bowls, ten-pin bowling*, archery and air rifle shooting* being just some of the facilities available on your weekend away. Four star bed and breakfast in Neatishead, in the heart of the Norfolk broads. A charming riverside cottage in Horning, on the Norfolk Broads with direct garden access to the main River Bure. A delightful cottage which can comfortably accommodate six guests. A selection of Norfolk Broads Holiday Cottages all with Riverside Gardens situated in Horning Norfolk. Idyllic holiday cottages on the Norfolk Broads. Fantastic character properties in and around Horning and the Norfolk Broads – the perfect holiday environment. En-suite accommodation at the heart of the Norfolk Broads. A choice of double or twin-bedded rooms in this large Edwardian house close to Wroxham Broad and railway station, 8 miles from Norwich. Includes breakfast and wi-fi broadband access from £30 per person. This delightful conversion of an 18th century barn & stable complex offers stylish & comfortable surroundings for a relaxing stay in Norfolk”. Bed & Breakfast. Grange Farmhouse is 19th century old world charm coupled with modern, comfortably furnished en-suite rooms. Grange Farm is situated in a rural location with easy access to the North Norfolk coast, the Norfolk Broads, local fishing lakes and the historic City of Norwich. Built circa 1842 by local landowner Robert Marsham, grandson of the famous father of phenology, Robert Marsham 1708 – 1797. Grange Farmhouse is centred in a working farm and stables and is abounded by wildlife, including deer, many species of birds, flora and fauna. 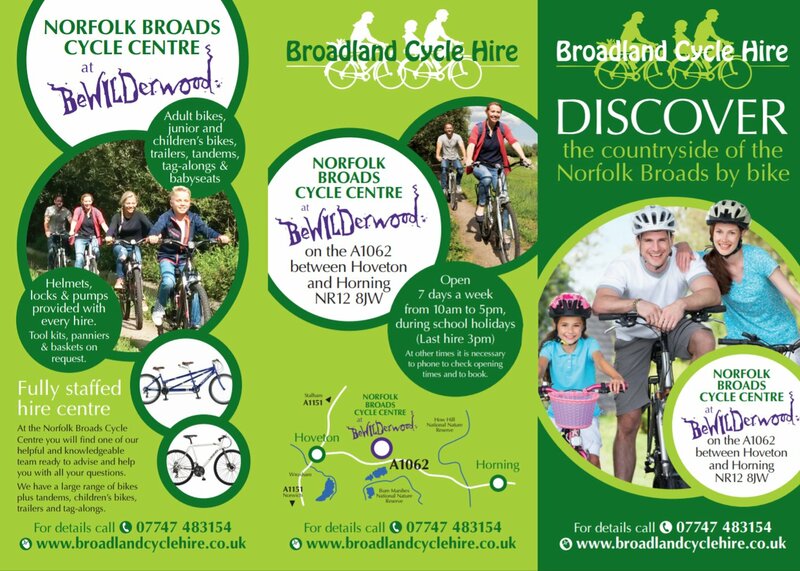 We provide the ideal location to explore the Norfolk byways, Broads and coast by foot, cycle or car. We pride ourselves on a friendly environment and a choice of real English breakfast or a continental style breakfast. We use local produce whenever possible. A great choice for the business person or a relaxing break. Wi-Fi internet connection is available in all our rooms Grange Farmhouse is in the heart of Norfolk with some of the finest stately homes close by. Blickling Hall is less than 6 miles away. They have many open air concerts during the Summer and Autumn months. We have many local fishing lakes and rivers, an absolute treasure for the amateur or the more competent angler. 4 star bed and breakfast in the picturesque village of Horning in the heart of the Norfolk Broads. We have 2 beautiful en-suite rooms overlooking the river. Close to Broadlands Cycle Hire and Bewilderwood. Train links nearby in Hoveton. Travel by train, cycle and boat to view this beautiful area! Offering unique experiences for holidays on the Norfolk broads. Looking for a holiday cottage? Our self catering and dog friendly holiday cottage is well placed to discover North Norfolk and the Norfolk Broads. Willow Farm Barn is a beautiful, modern seaside bed and breakfast located in the Norfolk countryside. It has easy access to a blue flag sandy beach and the Norfolk Broads. The bed and breakfast provides the perfect base for a range of outdoor activities. Built in 1740 (there’s a stone in one of the walls which states this date), the barn was converted into a home in 2009. We have decorated the four rooms in a coastal style and offer a warm, friendly and relaxing stay in our home. Our hearty Norfolk breakfast will set you up for the day – whether you’re seal watching on the beach, cycling down the country lanes, boating on the Broads, watching the birds and wildlife, jet-skiing at Sea Palling, or indulging in a bit of retail therapy in Burnham or Norwich’s wonderful variety of shops. Those looking to relax indoors can do so in the stunning lounge, which is kitted out with a flat screen TV offering the full range of Freeview channels. We look forward to your stay. John and Ines. Woodhill park is located in a clifftop location with views of the Norfolk coastline and countryside, having everything you would expect to make your stay enjoyable, there is an onsite shop and launderrette.